Kawaii Philippines is hosting an international campaign as part of the Kawaii in Manila 2 convention that asks people world wide to express what kawaii means to them. Wow that's a lot of kawaii for one sentence! Anyone can participate and show their love for cute culture by creating a A4 size poster answering the question "what is kawaii". Then, take a photo holding the poster and email it to the Kawaii Philippines blog. The photos will be then printed and showcased at the Kawaii in Manila 2 convention. As a lover of everything cute, I couldn't help myself from joining this campaign. Kawaii is everything to me. It can be found anywhere from pop culture items, to secret alleyways with toothless grannies playing with kittens. 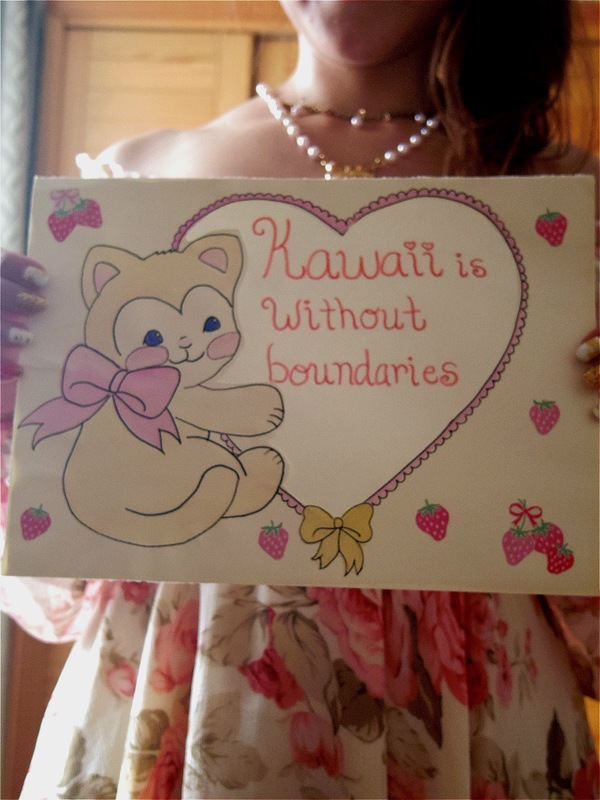 So my phrase is, "kawaii is without boundaries". Its culture is not confined to one location or specific items but can exist anywhere. 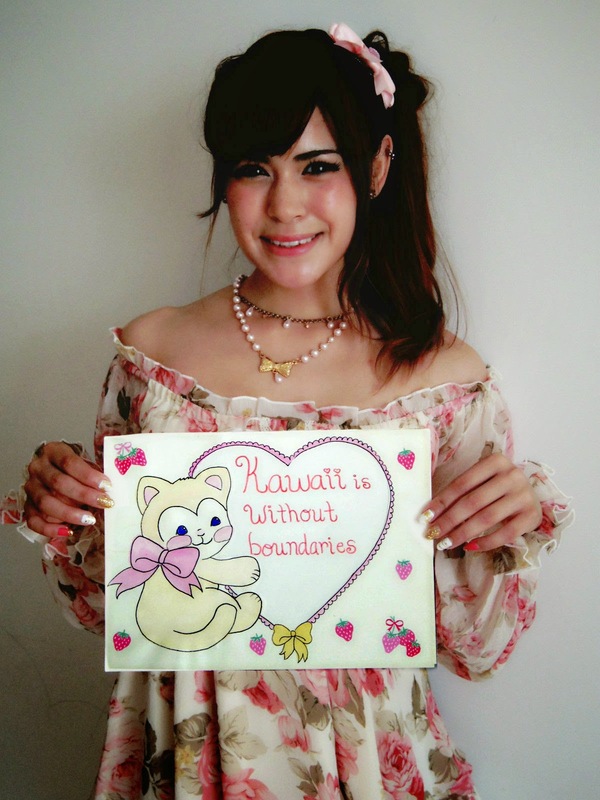 I encourage everyone to participate in this worldwide kawaii campaign! If you do, I'd love to see your photos. For more information, check out Kawaii Philippines post here.